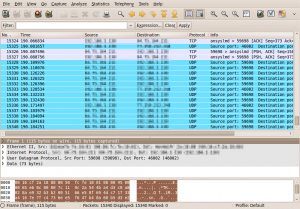 In this small how-to, I’ll show how to capture network traffic from a remote system to analyze it using Wireshark. All you need is tcpdump on the remote machine, where you want to dump the network traffic off and Wireshark on the computer, you want to use to look at the packets flying around. I use this setup for checking, whats going on on my IPcop firewall. After Wireshark has started, the ssh console will ask for roots password. 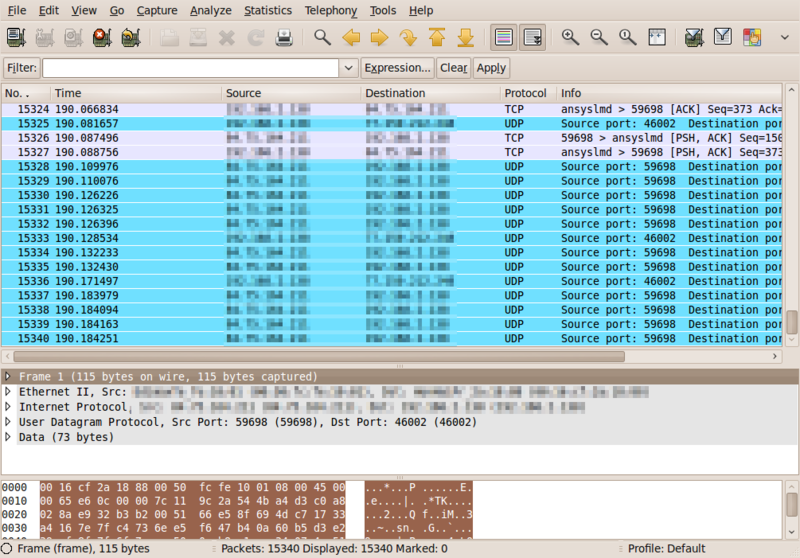 After you entered it, you will see the packets getting listed in Wiresharks main screen. Have you tried to log in via SSH without the tcpdump command? Just to make sure, that root login is enabled and that the root user may login with a password (Options “RootPasswordAuth” and “RootLogin” both set to 1 in the dropbear config). No offense but your method did not work for me due to the fact that ‘>’ redirects the output of ssh’s login program to /tmp/pipe. Thanks for your comment, none taken. As far as I know, the SSH password prompt doesn’t go to stdout (or even stderr), so it should not be affected of our redirection here. As soon as Wireshark reads from the named pipe, the console you issued the initial SSH command should present the password dialogue. But thanks for posting the cmd that works for you.